Some judgments of the Supreme Court, though does not state anything new, are to be read in an academic point of view. It helps newbie lawyers and law students to know law as it is. 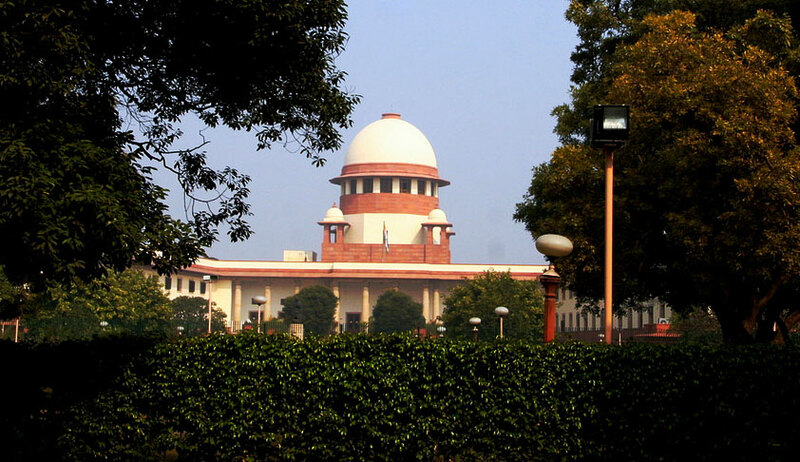 The judgment expositing the law on adverse possession by the bench comprising Justice NV Ramana and Justice Mohan M Shantanagoudar, in Ram Nagina Rai vs. Deo Kumar Rai, is one such. Plaintiffs in a title suit claimed to be owners of a property, which was being occupied by the defendants, as permitted by their ancestors. Their case was that defendants got khatian changed without notice to them, showing the defendants to be in possession of the disputed house. The defendants’ case was that they are the owners in possession of the suit house even prior to 1953. RS Khatian, which records they are in possession, was finally published in the year 1970, but the plaintiff filed the title suit only 19 years after its final publication and hence, the suit is barred by limitation. The main contention was that they had perfected the title by adverse possession and, therefore, the plaintiffs are not entitled to recover the possession of the suit house from the defendants. Though the munsiff’s court rejected the plea of adverse possession, the appellate courts found favour with it and dismissed the suit filed by the plaintiffs. The case reached the apex court. The burden is on the defendants to prove affirmatively that the bar of limitation prescribed under Article 65 of the Schedule of the Limitation Act, 1963, viz., 12 years, is applicable in the matter to file a suit for possession of immovable property based on title. The limitation of 12 years begins when the possession of the defendants would become adverse to that of the plaintiffs. Thus, it is incumbent on the plaintiffs to file a suit for possession within 12 years from when the possession of the defendants becomes adverse to the plaintiffs. Article 65 presupposes that the limitation starts only if the defendants prove the factum of adverse possession affirmatively from a particular time. Adverse possession means a hostile assertion, i.e., a possession which is expressly or impliedly in denial of the title of the true owner. The person who bases his title on adverse possession must show, by clear and unequivocal evidence, that the possession was hostile to the real owner and it amounted to the denial of his title to the property claimed. In deciding whether the acts alleged by the person constitute adverse possession, regard must be given to the animus of the person doing such acts, which must be ascertained from the facts and circumstances of each case. Where the possession can be referred to a lawful title, it would not be considered to be adverse, the reason being that the person, whose possession can be drawn to a lawful title, will not be permitted to show that his possession was hostile to another’s title. Simply put, one who holds possession on behalf of another, does not by mere denial of the other’s title, make his possession adverse so as to give himself the benefit of the statute of limitation. The acquisition of title by adverse possession springs into action essentially by default or inaction of the owner. There is a lot of difference between simple possession and adverse possession. Every possession is not adverse possession. The defendants will not acquire adverse possession by simply remaining in permissive possession for howsoever long it may be. Until the defendants’ possession becomes adverse to that of the real owner, the defendants continue in permissive possession of the property. Only if the defendants’ possession becomes adverse to the interest of the real owner and the real owner fails to file the suit for possession within 12 years, as prescribed under Article 65 of the Limitation Act, from the point of time the possession by the defendants becomes adverse to the plaintiffs, the real owner loses his title over the property. The defendants are not only required to prove that they have been in possession of the suit property continuously and uninterruptedly, but also need to prove, by cogent and convincing evidence, that there is hostile animus and possession adverse to the knowledge of the real owner. It is important to assess whether such intention to dispossess is apparent to the actual owner or not. The intention of the adverse user must be communicated at least impliedly to the actual owner of the property. His hostile attitude should be open to the knowledge of the real owner. It follows that the intention and possession of the adverse possessor must be hostile enough to give rise to a reasonable notice to the actual owner. ‘Animus possidendi’ is one of the ingredients of adverse possession, and unless the person possessing the property has the requisite hostile animus, the period of prescription does not commence. Virtually, the defendants are required to prove the possession to be adequate in continuity, adequate in publicity and to adequately show that their possession is adverse to that of the true owner. It must start with wrongful dispossession of the rightful owner and be actual, visible, exclusive, hostile and continued over the statutory period. The physical fact of exclusion, possession and animus possidendi to hold as owner, in exclusion to the actual owner, are the most important factors to prove adverse possession. A person pleading adverse possession has no equities in his favour. Since he is trying to take away the rights of the true owner, it is for him to clearly plead and establish all the facts necessary to establish his adverse possession. Taking note of the evidence on record, the bench observed that except for the change of khatian sometime in the year 1970 by the defendants and the payment of taxes for being in possession of property, no material is produced by the defendants to show whether the possession was really hostile to the actual owner. “There is absolutely nothing on record to show that there was a hostile assertion by the defendants. We do not find that the defendants had hostile animus at any point of time, from the facts and circumstances of this case. The defendants denied the title of the plaintiffs over the suit property only when the suit came to be filed, inasmuch as the defendants have taken such a contention for the first time in their written statements,”, the bench observed. The bench held that there is no absolute requirement to deem the mere possession of the suit property by the defendants to amount to adverse possession over the suit property as it would be in clear violation of the basic rights of the actual owner of the property. On tax receipts and land records, the bench said even assuming that those documents relate to the suit house, they, at the most, depict the possession of the defendants and not their adverse possession. Restoring the Munsiff’s Court Decree, the bench set aside the judgments of appellate courts.